ServiceTrade is a field service management software that allows users to manage commercial and industrial operations. Its features include map-based scheduling, customer engagement tools, electronic quotes, and more. In this article, we covered user reviews and pricing. Ready to get started with ServiceTrade? Request a demo. Users who gave ServiceTrade a positive review said that it has a straightforward and user-friendly interface. They also commended the app’s ability to adjust to their specific business requirements. Excellent customer support was also cited. Users who gave ServiceTrade a negative review complained about its steep pricing plans. They also suggested improvements on geolocation pins and cited system stability issues. One user who gave ServiceTrade a negative review on Software Advice complained about its occasional slow performance. He also mentioned that more powerful task management and location features would help him keep track of existing projects and incoming jobs. ServiceTrade offers a free option and three paid plans: Select ($59/technician/month), Premium ($99/technician/month), and Enterprise ($139/technician/month). The main differences between the plans include the number of technicians who can use the program and the number of jobs that can be processed per month. Ready to get started with ServiceTrade? Request a demo. What features can be accessed on the mobile app? ServiceTrade’s mobile app provides users with customer engagement, online quote approval, reporting, accounting, and dispatching functionalities. It is available on both Android and iOS devices. How can ServiceTrade improve users’ quality of engagement with their customers? ServiceTrade allows users to improve their engagement with their customers through features such as customer profile access, real-time notifications, online quote generation, and service review management. This provides them with the necessary information and tools to give their customers the most personalized service possible. 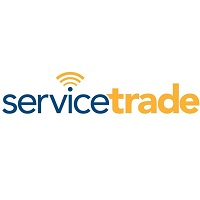 Not sure if ServiceTrade is the right fit for you? Read our reviews of all top field service management software or check out one of these three ServiceTrade competitors. Service Trade brings all business functions into the digital world. My favorite feature is that every customer interaction can be run through the software – and accessed from my smart phone 24/7. I cannot say that they do anything “not well”. Everything the Service Trade team does, they do well. They are responsive to suggestions, aware of trends in the market place and do everything they can to help their customers. Customer support is the best. Listens to suggestions from our company. Always improving the program. During the most recent update the program allows the tech to see past paperwork and comments. The tech can also see unscheduled work they can perform if they are in the same area. My only complaint about ServiceTrade is, several updates ago when the tech added an e-mail contact on the Work Acknowledgment it populated the Contacts. During a recent update that went away. Wish we knew they existed sooner. I’ve used this every day at work for about 2.5 years now. It is the heart of our operations and the starting point for all of our growth and data implementations. I have had many fiddly requests and the support team has been accommodating and friendly. I like the way it allows us to schedule jobs and see who is where. I love the ability for the technicians to add notes, before and after photos, etc. I like that it allows them to clock in and out on site and shows location. It’s very useful to have the calendar view and the ability to pair the software with other technologies (wufoo forms, websites, etc.) through zapier. Pretty good communication between servicetrade and quickbooks online simplifies things for us as well. When there’s a hangup, it’s thus far always been on the Quickbooks side (unfortunately, because the ServiceTrade support team is much more responsive and knowledgeable than the Quickbooks folks). Without ServiceTrade, we could not serve our tech-minded or overly busy clients in the superior manner that we do. Well, I hate to place this in a box like it’s a big downfall because it’s not. They are honest about what type of software company they are and are not. They are laser-focused on the types of vendors they are built to serve. My company is a bit outside the mainstream of their normal client base and while the product works great for us, there are occasional times where we request changes or customizations that don’t make sense for them to undertake (because they run counter to the needs of the rest of their clients). I appreciate their honesty, but think they could serve more industries if the product expanded. Additionally, I’ve recommended them to other business owners, and I feel their marketing materials didn’t really explain what the software could do for them. I had to show the business owners around inside my own account to feel like I was getting the message across as to why I’d recommend it to them. I had no idea they were actually fairly local to me. We did get one in-person session with them to talk about a customization for us which they eventually implemented, and that was possible because they are 30 minutes away. Adapts to changing needs of clients, keeps most applications simple and easy to use, can create e-forms and reports specific to a clients needs. Creating an on line tutorial to get new users educated on the software functions. ST customer service and there willingness to take suggestions is bar none. We run a small commercial facilities company. I am always jotting down ideas and suggestions and the development team is always willing to take my ideas and implement. I also do the training for our field technicians this program is very user friendly and easy to teach. The need to have an internet connection. Some of our sites do not have the best cel coverage or wi-fi. Occasionally photos or forms are missed.